I met Anita Jack at a business conference in Los Angeles in 2013 and was surprised to learn that she is also a pole dancer. Stop. Not the raunchy videos but rather as an athletic sport. 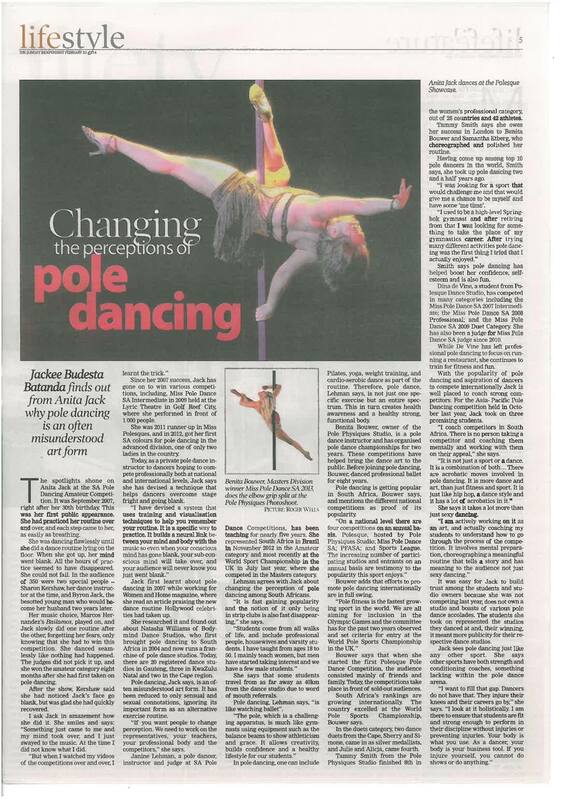 I interviewed her to help me debunk the stereotypes we all have around pole dancing and to understand it as a sport. The Sunday Independent published on Sunday 23 February 2014.